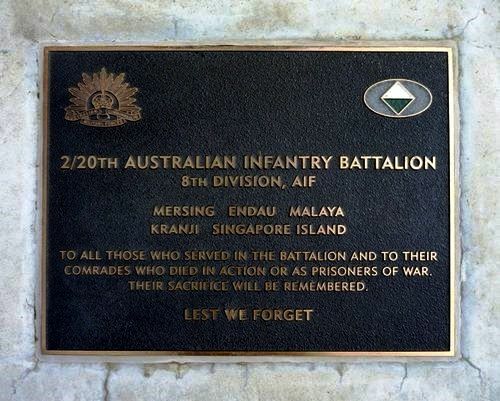 The plaque commemorates those who served in the 2nd / 20th Infantry Battalion during World War Two. To all those who served in the Battalion and to their comrades who died in action or as Prisoners of War. Their sacrifice will be remembered.